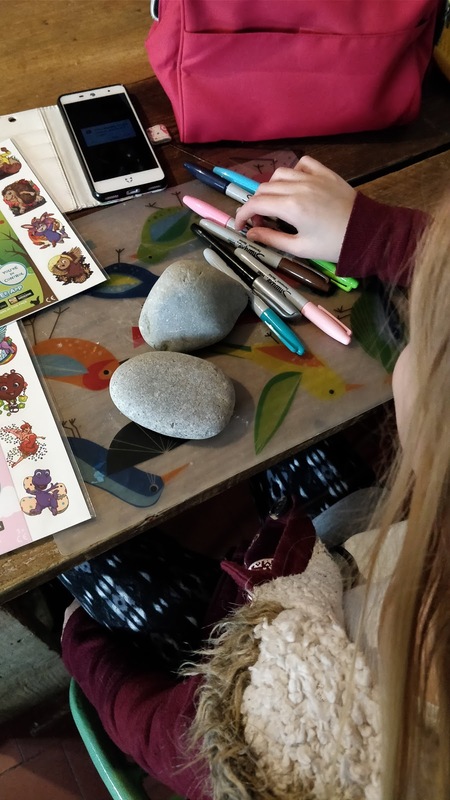 Creative Fun with Mardles Rock Stickers Which Come to Life! I'm always looking for new and interesting things to do with the children, especially during the holidays. We've had a go at geocaching but I've just discovered something that really appeals, especially to my creative daughter -Rocking! 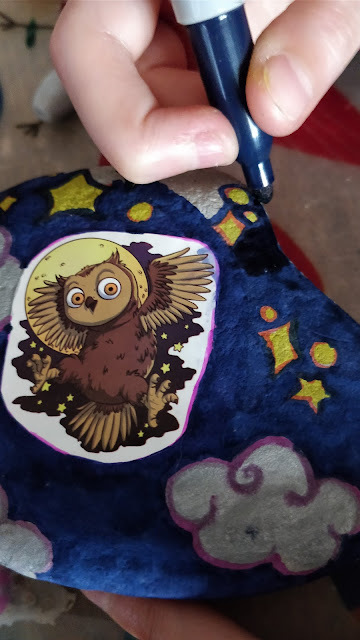 You may have seen pictures on social media from people who have found decorated rocks. 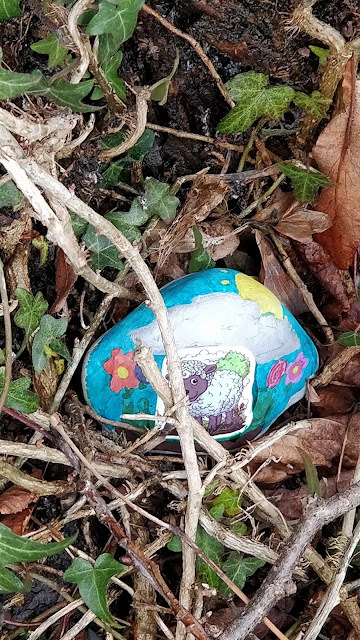 The game, similar to geocaching, is to hide and/or find decorated rocks and then move or reside them for someone else to discover. 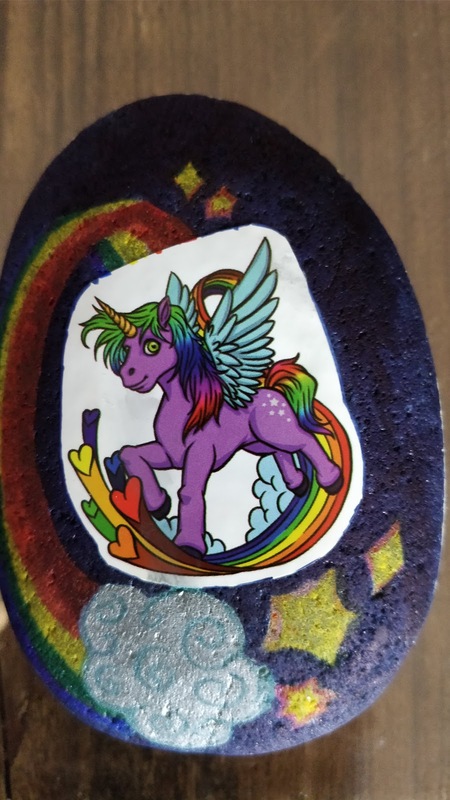 Mardles has taken the game a step further with stickers you can add to your rocks which make them come alive! It's very simple to join in the fun with Mardles Rocks. 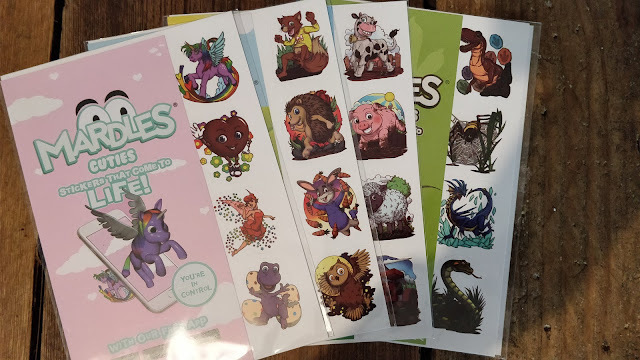 You can buy the stickers featuring farm animals, forest friends, dinosaurs, beast and bugs and a whole host of other characters (including unicorns in the Cuties pack) for around £4.99. 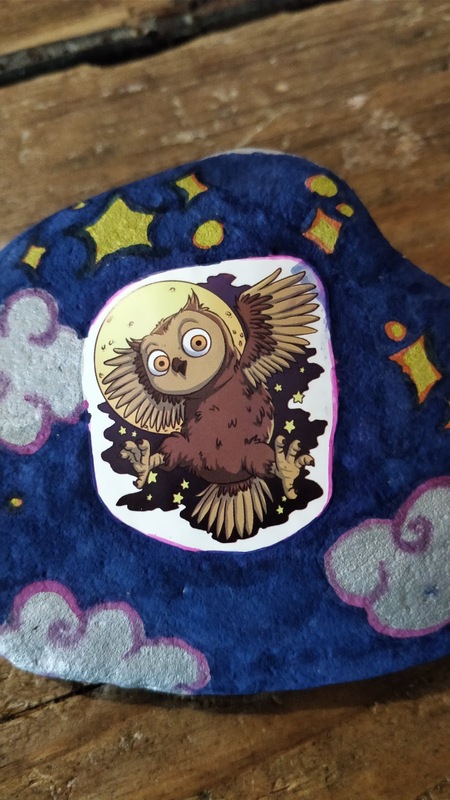 Then you collect (or buy) some nice smooth flattish rocks which you can stick a sticker onto. You can make it even more interesting by decorating your rocks. We used permanent pens and my 11 year old daughter had lots of fun on a dull rainy day preparing her rocks, ready for hiding. 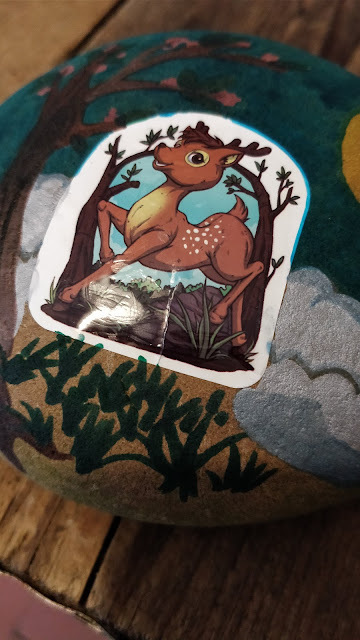 When your rock is ready add another little sticker which tells finders about downloading the app and what to do when they find the rock. Mardles suggest finders could keep it or re-hide it and of course share pictures of it to the MardlesRocks Facebook Page. Then hide your rocks- but not so well that no-one will ever find them! 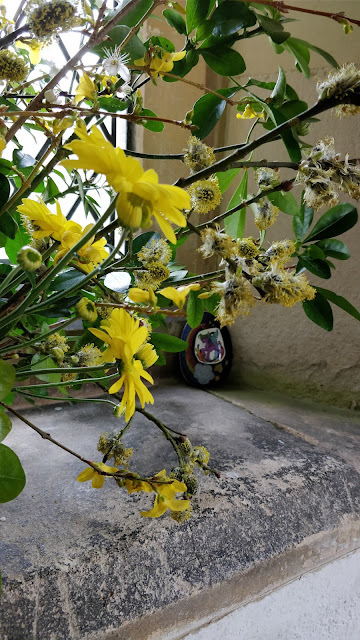 We hid one nestled next to an ancient tree in the centre of our picturesque village which attracts hoards of tourists even on rainy days. We placed another in a church porch which often has walkers and tourists popping in. We plan to head into the woods to hide a few more on a drier day. We posted on Mardles Facebook page clues as to where we had placed our rocks. If anyone finds them, downloads the app and hovers over the sticker on the rock they will get a fabulous surprise as the rock comes to life! 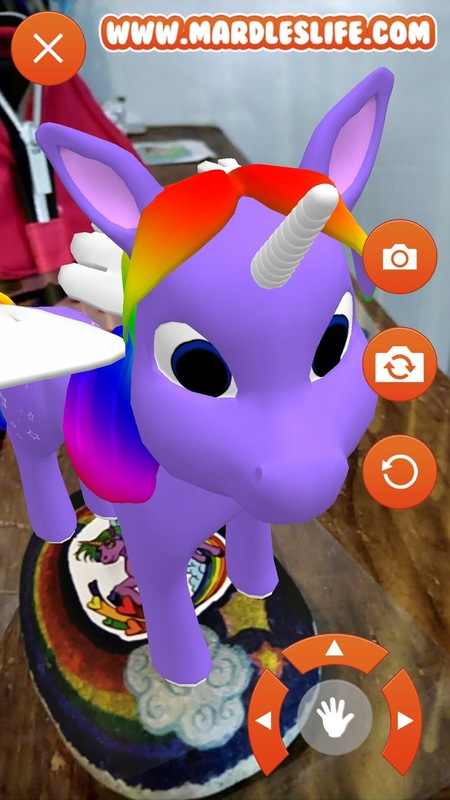 It's really very clever and even as a world weary adult I was delighted by the thrill of watching the 3D creatures and vehicles which pop out of the stickers perform for me. We've joined the Facebook page to share our hiding places and to learn about hidden rocks. 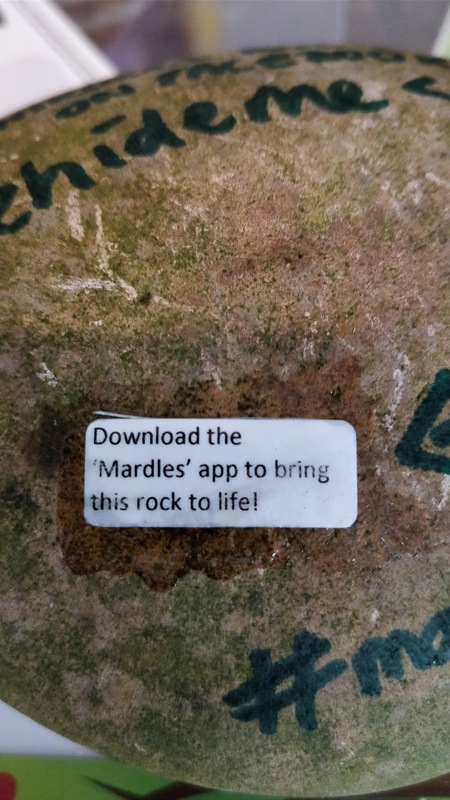 We are hoping someone local (or near where we are holidaying) hides Mardles Rocks for us to find but to help the game along I've shared some of the stickers with local friends to get a really rocking game going. 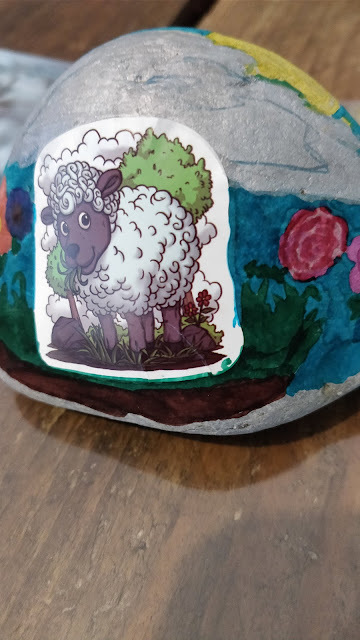 Have you found any decorated rocks? Or do you hide some? Let us know what county you are in so readers can go looking. Disclaimer: I received Mardles stickers and a £10 Amazon gift card for the purpose of writing this honest review.